After a few stiff drinks, the surroundings in which they’re imbibed often fade into the background. 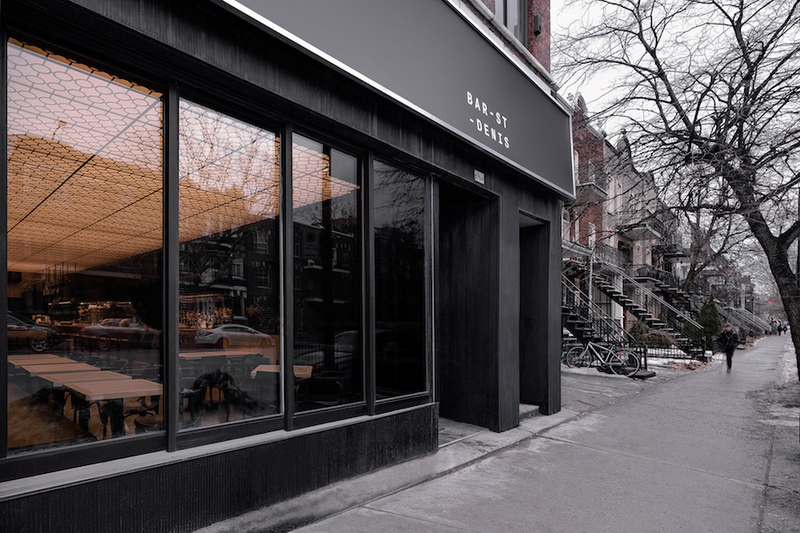 There’s little chance of that happening at Montreal’s Bar St-Denis. 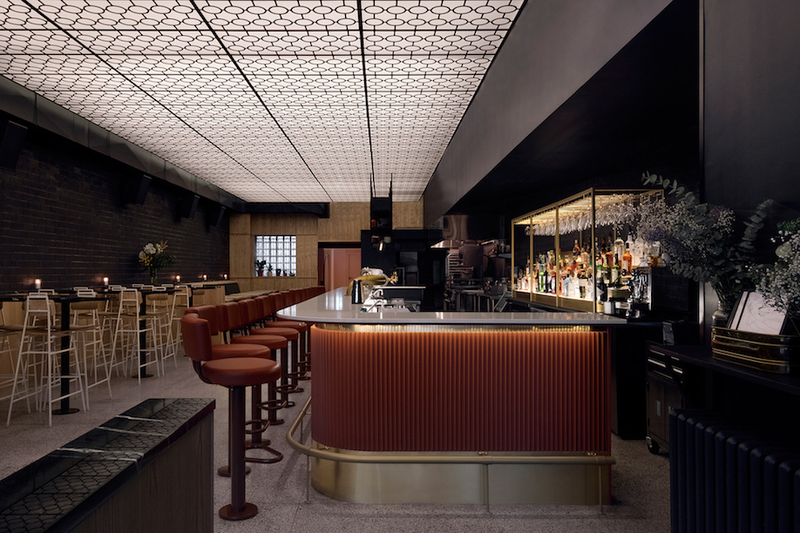 As designed by locally based Appareil Architecture, the meticulously appointed, 188-square-metre establishment just a couple of blocks east of Jean-Talon Market is a paragon of light and texture, its disparate bespoke elements – a luminous art-deco-inspired ceiling, the pleated terracotta bar front – as seamlessly blended as a well-mixed cocktail. 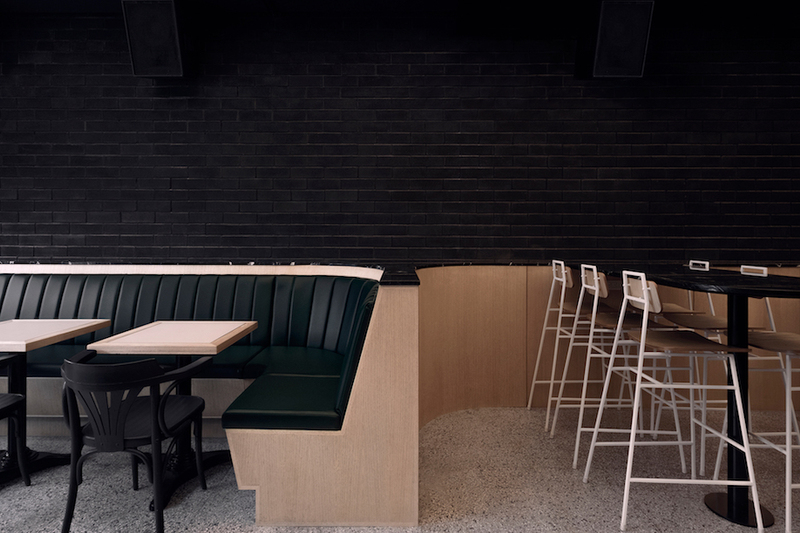 In order to distinguish the space from its previous incarnation, which was also a bar, chef/owners David Gauthier and Emily Homsy, formerly of the esteemed Montreal restaurant Au Pied du Cochon, sought to create an eatery and drinking den with the vibe of a modern gentleman’s club, its look and feel as refined yet accessible as their small-plates menu and wine list. 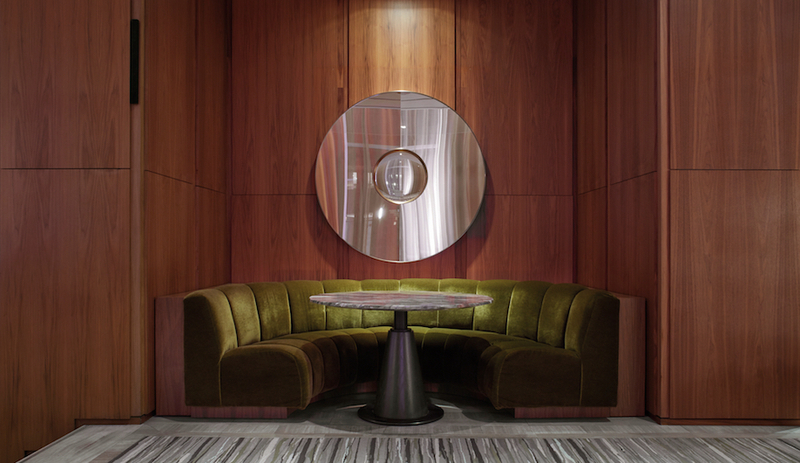 Enter the team from Appareil, which delivered on the mandate by combining a rich materials palette (including ash, green marble, leather and pink ceramics) with well-articulated space planning. 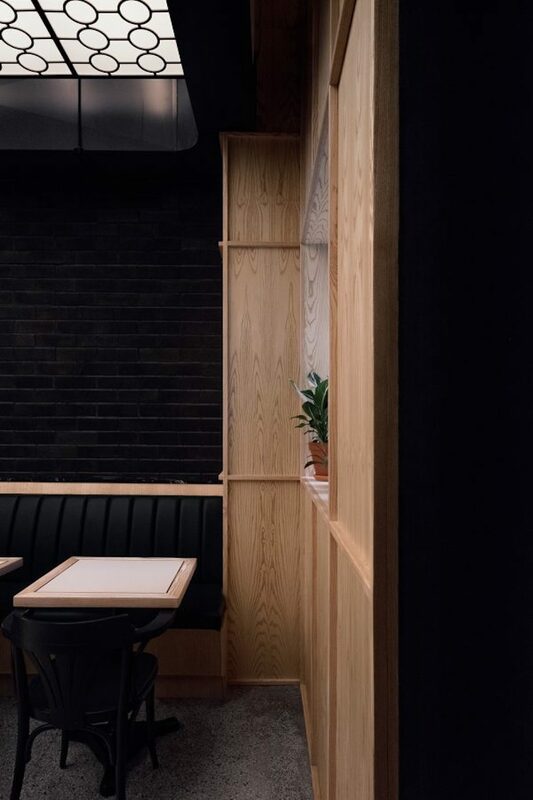 Against one wall of the 70-seat space – a black-brick expanse that runs almost the entire length of the room – is a series of distinct eating areas. 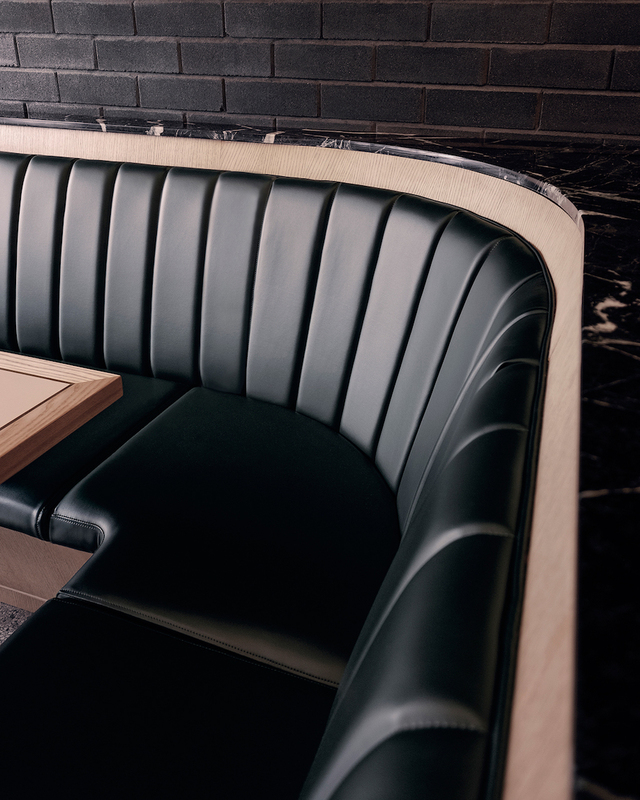 One features a row of ash-topped tables and black wooden armchairs alongside a banquette with a pleated-leather back. 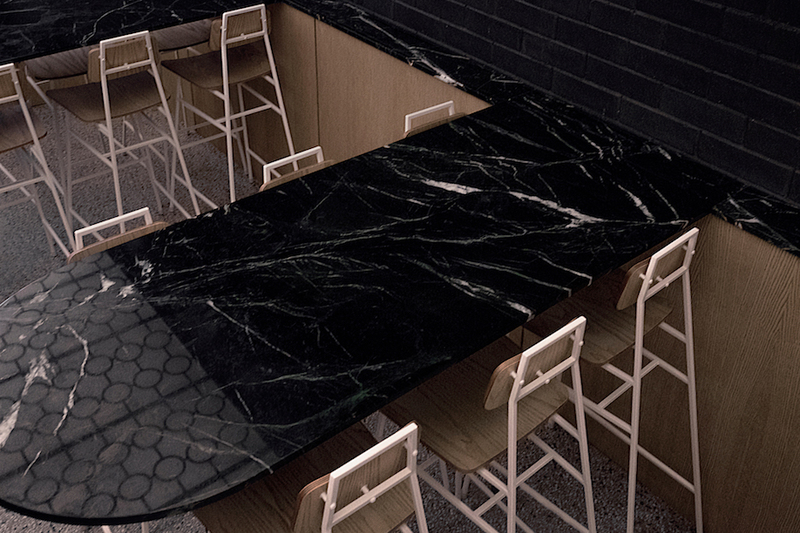 Another zone consists of high-top marble tables paired with the metal-and-ash Floe stools made by the architecture firm’s in-house design arm, Appareil Ateiler. 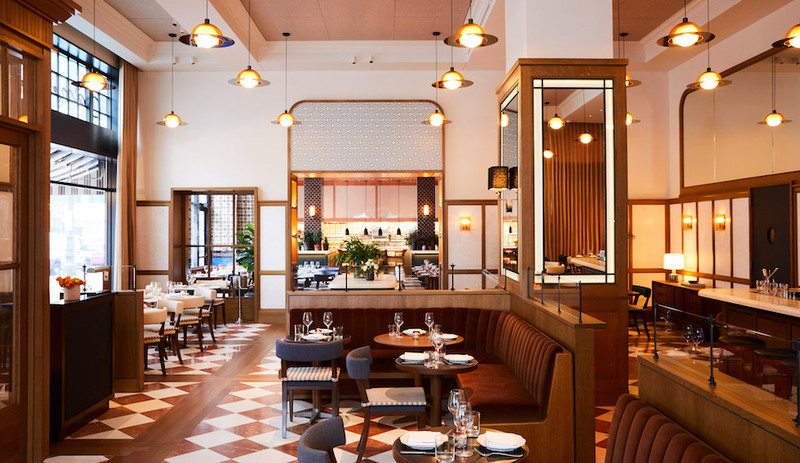 Across from the dining areas is a marble-topped bar fronted by pink leather swivel stools and a pleated terracotta base. 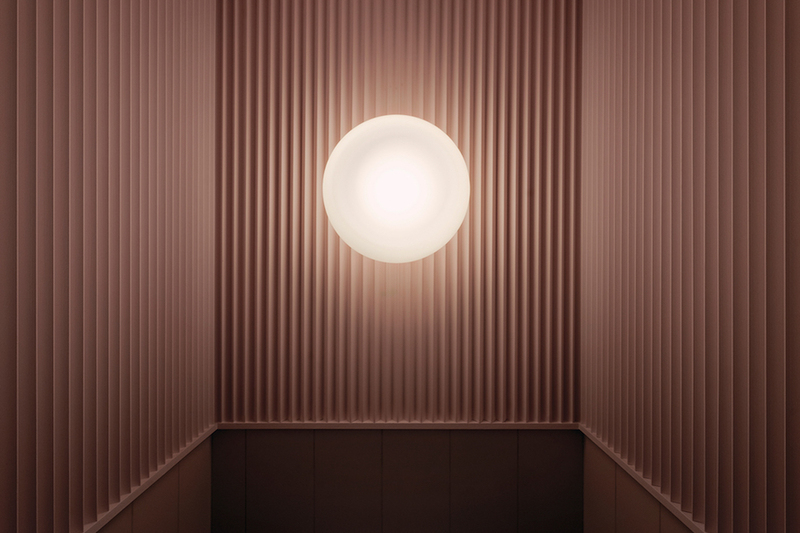 The rosy effect is echoed on the slatted pink-ceramic walls of the restrooms, which are reached by passing an open kitchen. 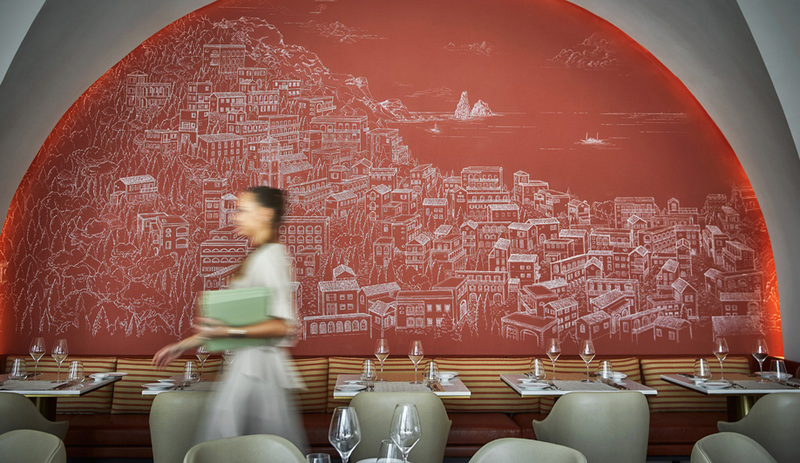 The pièce de résistance of Bar St-Denis, however, is without a doubt the illuminated patterned ceiling. 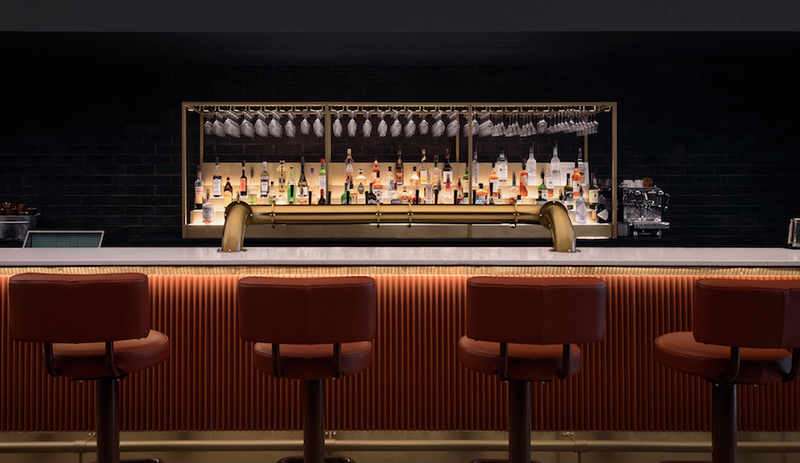 Influenced by art deco style, it imbues the space with a pleasing glow and is visible from St-Denis Street through the bar’s large front windows. 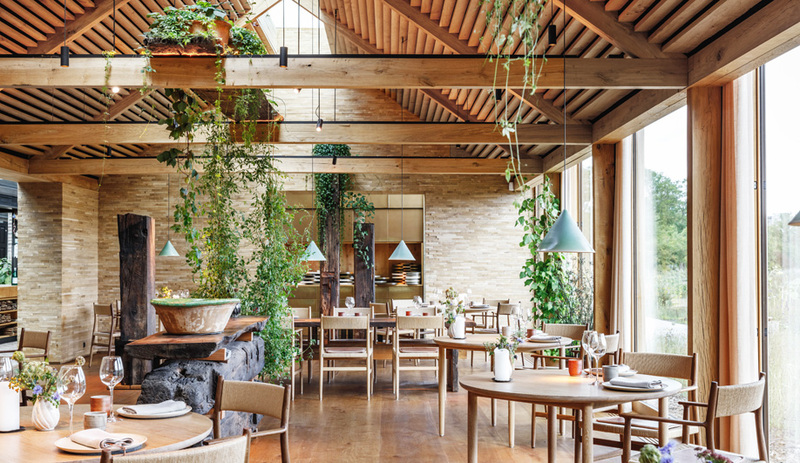 “This distinctive element,” Appareil says, “bathes the space in a sweeping light and creates a singular atmosphere.” All the better to savour both the elegant setting and another round of drinks.